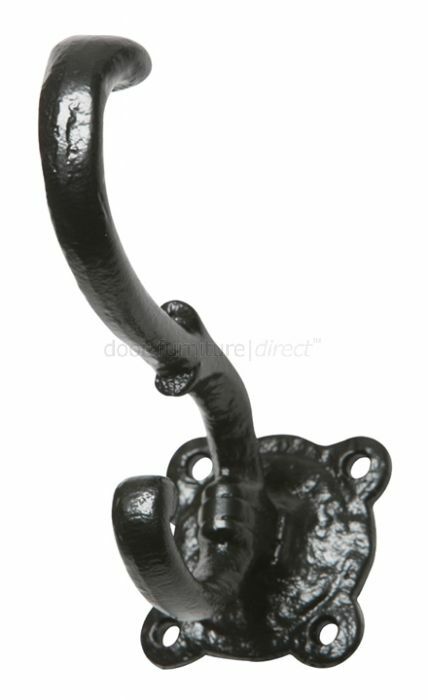 Black antique iron hat and coat hook on a fixing plate with four holes. Approximate height of hook measures 127mm. Supplied complete with fixing screws.